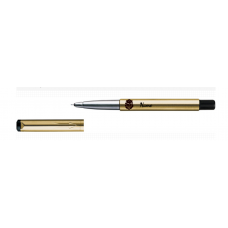 A pen is a writing implement used to apply ink to a surface, usually paper, for writing or drawing.Historically, reed pens, quill pens, and dip pens were used, with a nib dipped in ink. Ruling pens allow precise adjustment of line width, and still find a few specialized uses, but technical pens such as the Rapidograph are more commonly used. 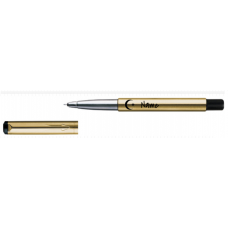 Modern types also include ballpoint, rollerball, fountain, and felt or ceramic tip pens. 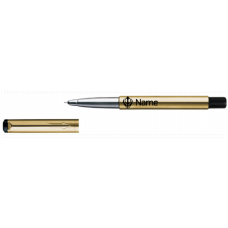 A cool blue personalized pen for your everyday use! Customize now!.. 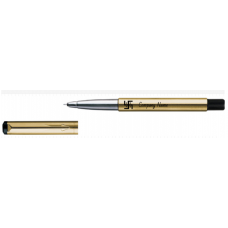 A Parker Gold personalized pen for your everyday use! Customize now!..